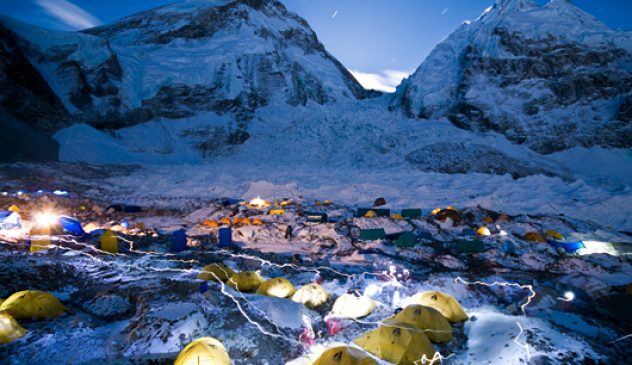 Everest View Trekking is the most desired trek by many trekkers. This is comparatively a short and easy trek but it provides spectacular view Mt. Everest. 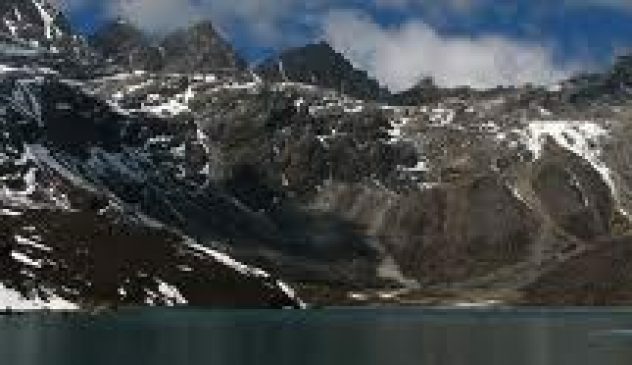 Being the ideal chance to provide the view of the majestic mountain and the splendid beauty of the region’s scenery, this trek takes its position in the top rank among trekking on the world stage. 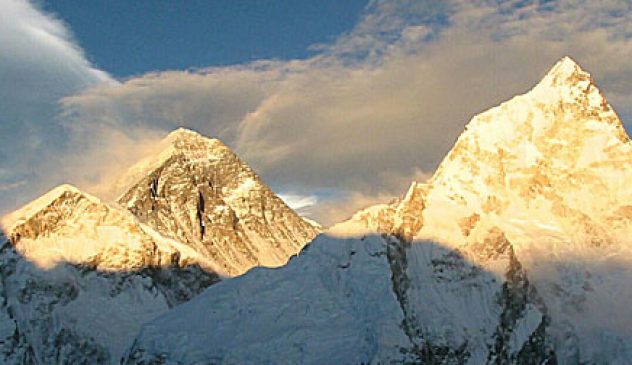 During Everest View Trekking trail we need to climb and descend its way through lush low land and alpine forest, Buddhist monasteries and authentic Sherpa Villages. This trek provides an opportunity to explore the lifestyle of the Himalayan people, their religion, customs and traditions. Also, rare birds like the golden eagle, snow pigeon, Red-billed and yellow-billed choughs as well as flowers like rhododendron, magnolias, blue pine, chir pine, juniper and hemlock are the main attraction. It makes the trekking a delight and amazing for nature lovers. After breakfast, we will continue our trek from to Phakding to Namche Bazaar (3441 mt.). You will be able to see your first view of Mt. Everest as you cross the Dudh Kosi and lunch break in Monjo. After the lunch, the trail will become steeper and higher in altitude towards Nauje. Slow and steady is best! After crossing one of the suspension bridges above the river we will ascend to Namche Bazaar. We get the most amazing view of Mt. Everest, Lhotse, Nuptse, Ama Dablam, Taweche. Approximate 5-6 hours of walk. Overnight at Guest house. After breakfast, we will Explore around at Namche Bazaar and Hiking up to Everest view hotel (3880m) to see Mt. 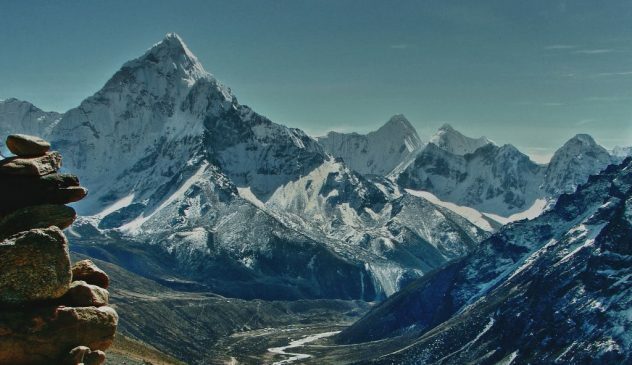 Everest View (8848m) and Ama Dablam (6856m), Thamserku (6608m). We can also walk to visit the Sagarmatha National park to see the protected floras and faunas. After breakfast, we will trek back to Lukla which will take approximate 5 hours. Overnight at Guest house. After breakfast, we will take early morning flight back to Kathmandu and transfer to your hotel. Afternoon free and easy time. Overnight at Hotel. All accommodation in Kathmandu, three-star standard Hotel with breakfast or tea house during the trek . Govt. Licensed Guide for Kathmandu and Trekking.